Rarely do we have the chance to link a nation’s traditional culture to its emerging identity as a modern nation. But on June 13 Indonesia will come alive in Dallas, TX with business and culture forums of the highest order. The City of Dallas, as well as its premier world affairs organizations and cultural institutions will be rolling out the red carpet to host Indonesia’s Ambassador, trade and investment officials, private businessmen, and artistic treasures. If you understand the culture of a nation it is a far easier place in which to do business. Whether you are exploring new business opportunities or trying to expand the ones you already have, you are invited to partake of the rich rijstaffel (rice table) offered below. The forum explores trade and investment opportunities and policies in Indonesia, a G20 democratic nation with the world’s fourth largest population, and SouthEast Asia’s largest economy. The largest economy in Southeast Asia. Ambassador Djalal may be the most entertaining and effective ambassador since the US sent Ben Franklin to Paris. Known as the “Twitter Ambassador” because of his embrace of social media, the Ambassador is comfortable speaking about world economics, politics or culture, and in particular, the emergence of Indonesia as a robust 21st century democracy. 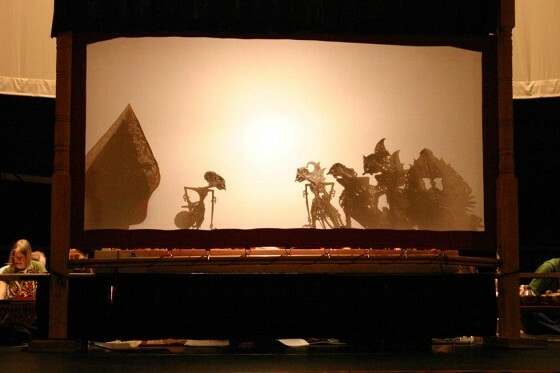 World renowned Javanese shadow puppet master, Ki Purbo Asmara, accompanied by a full gamelan orchestra, performs an epic tale with simultaneous English Translation.